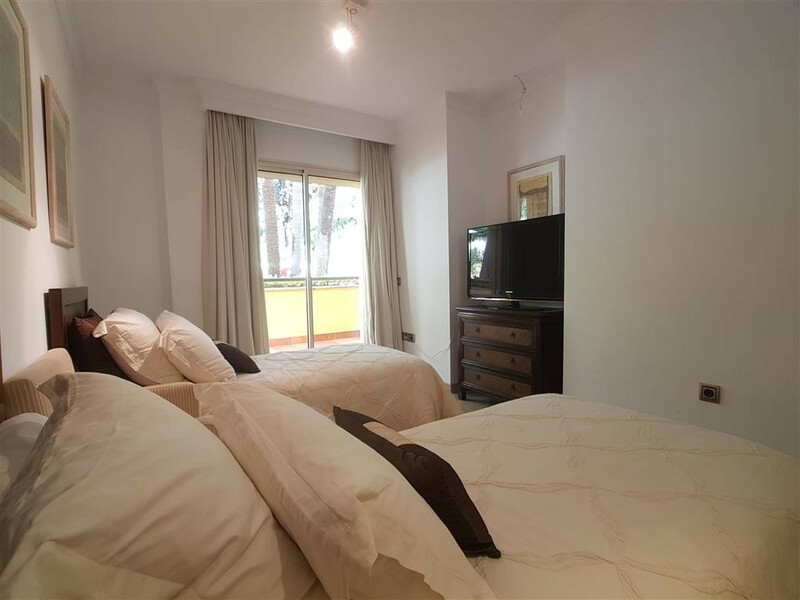 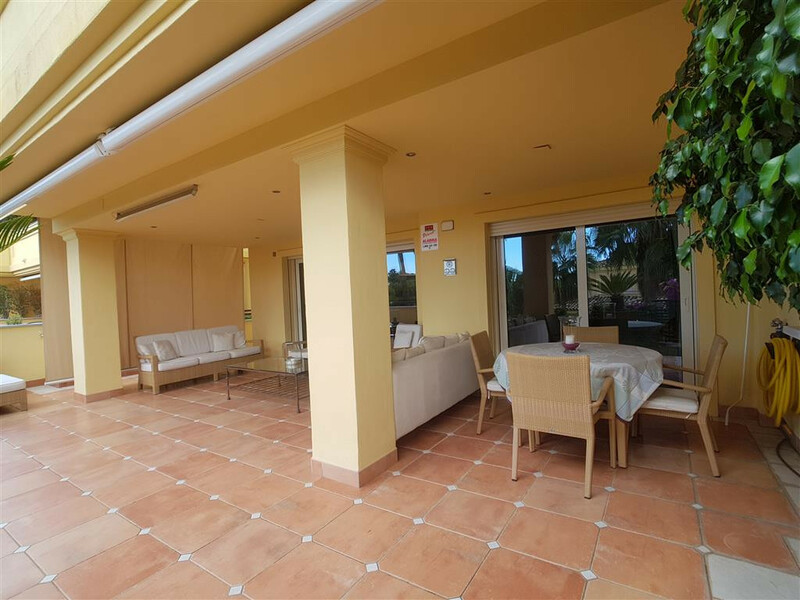 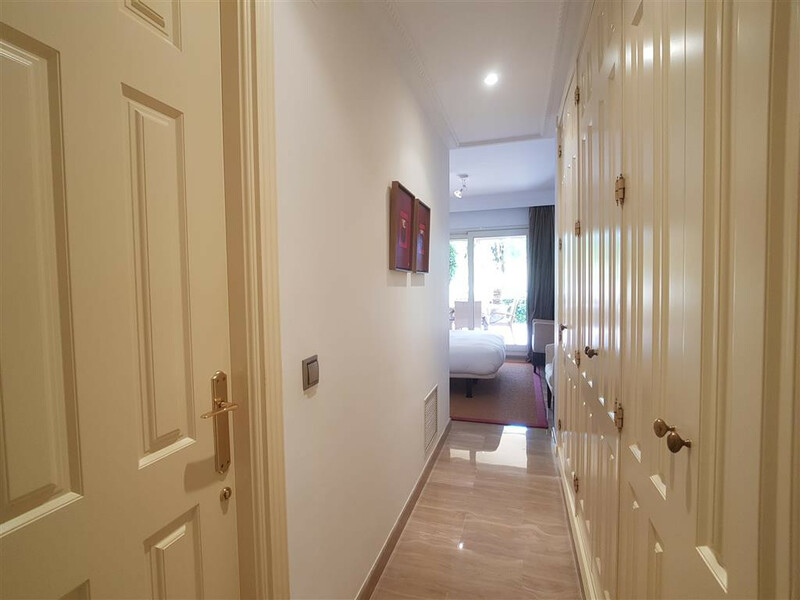 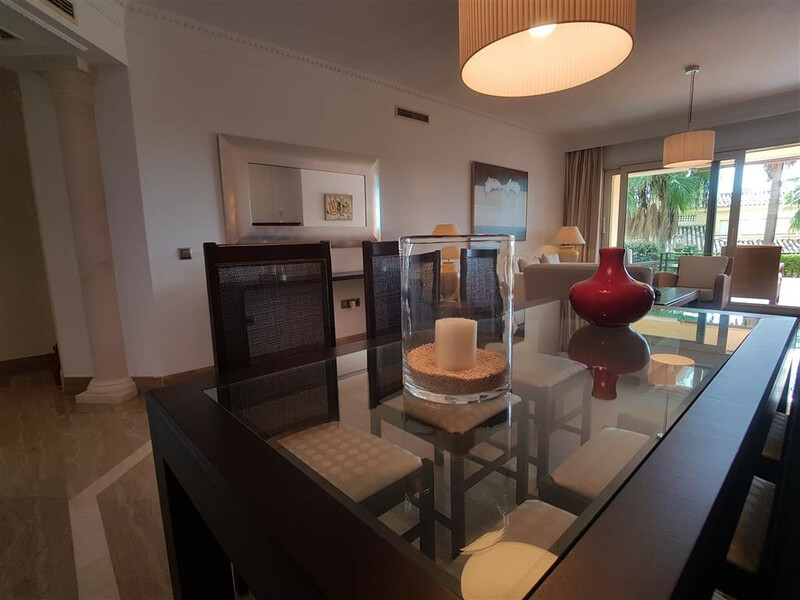 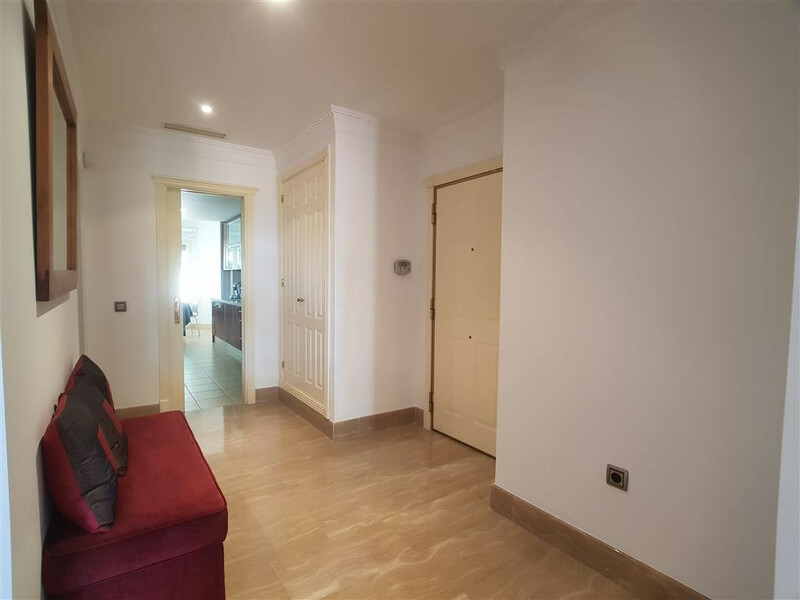 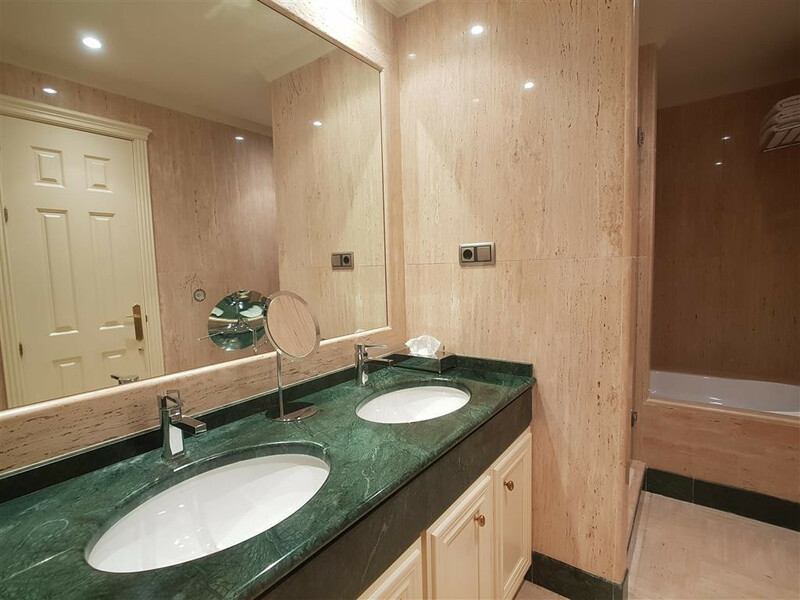 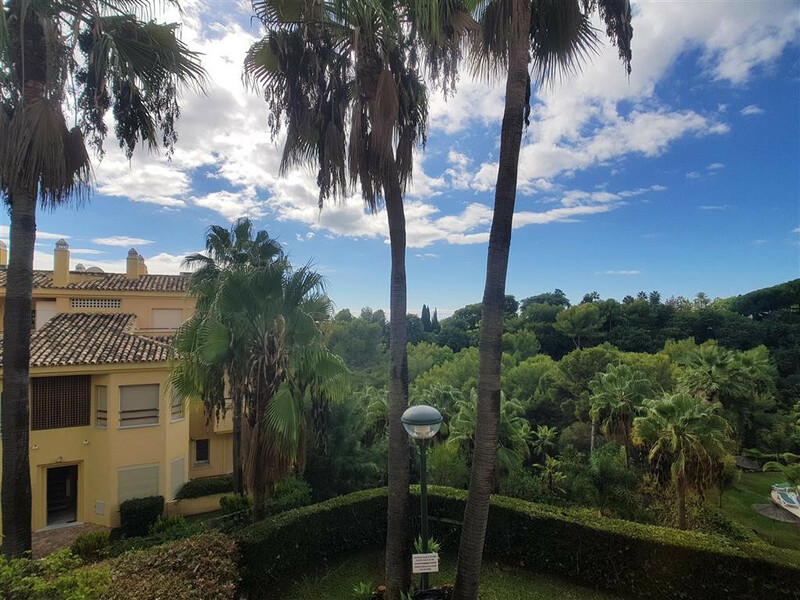 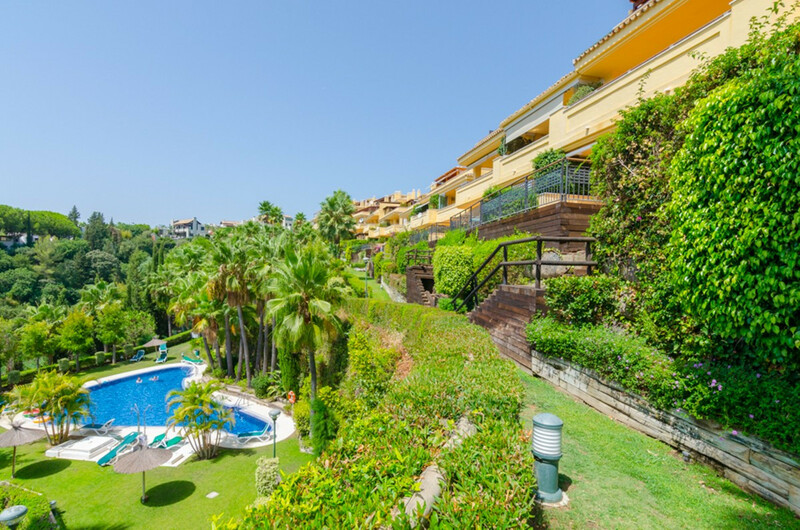 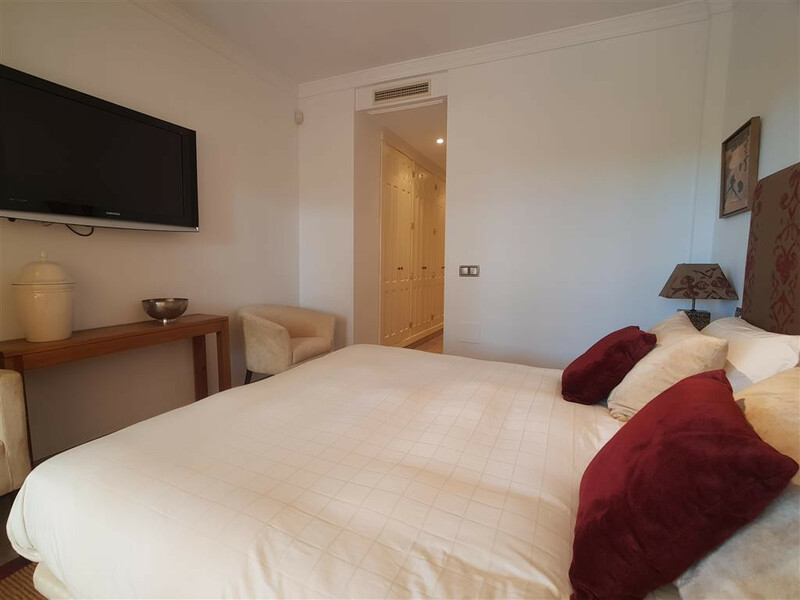 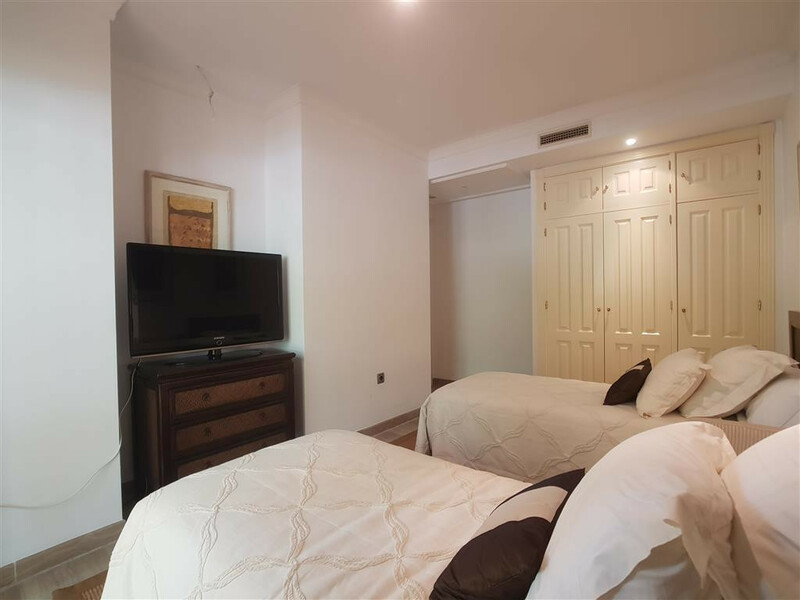 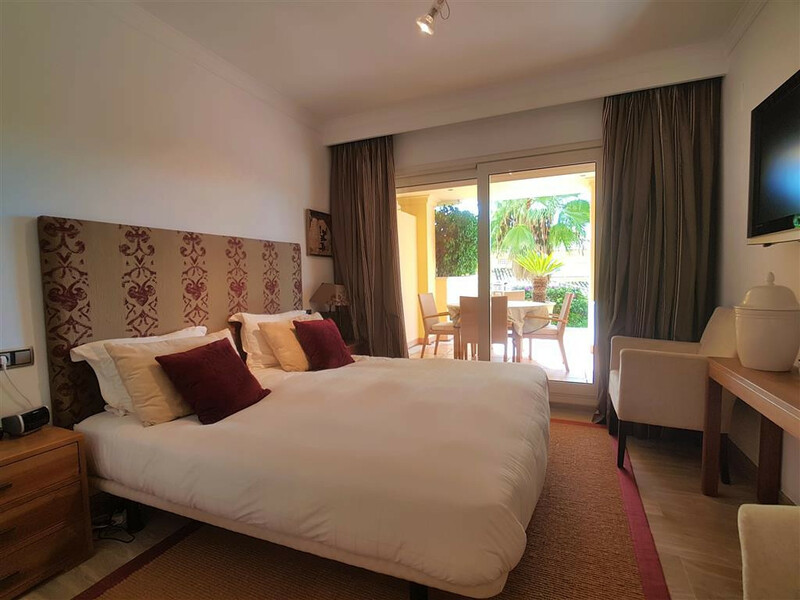 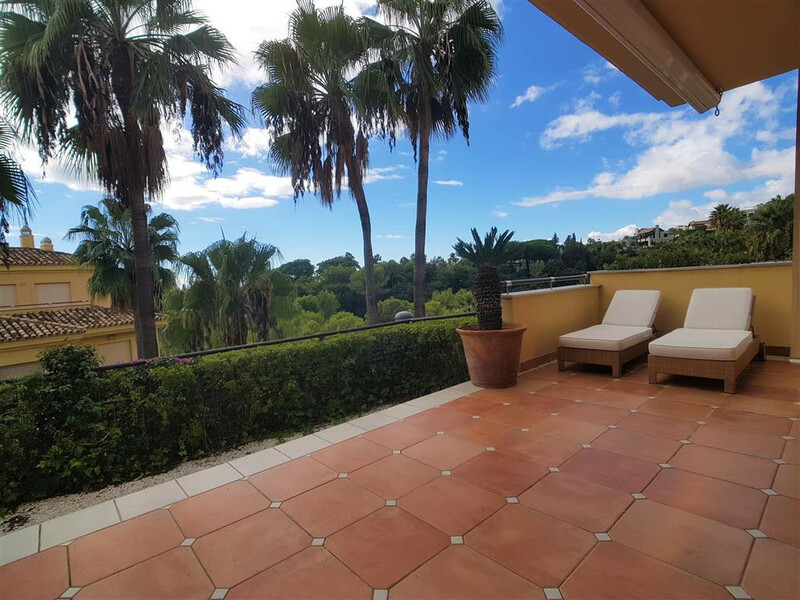 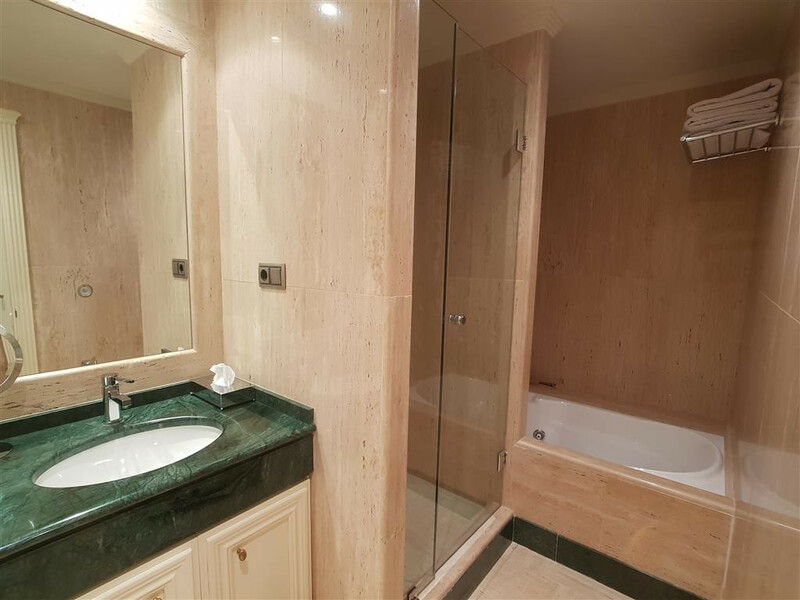 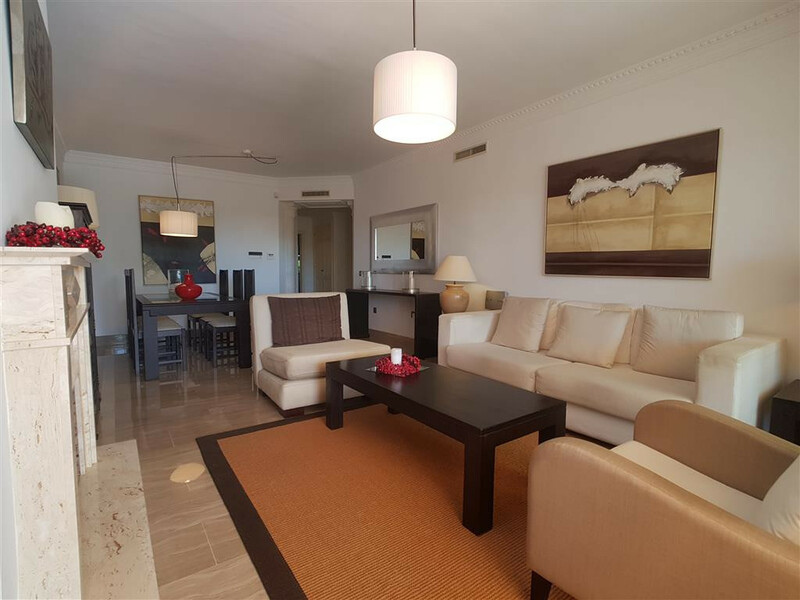 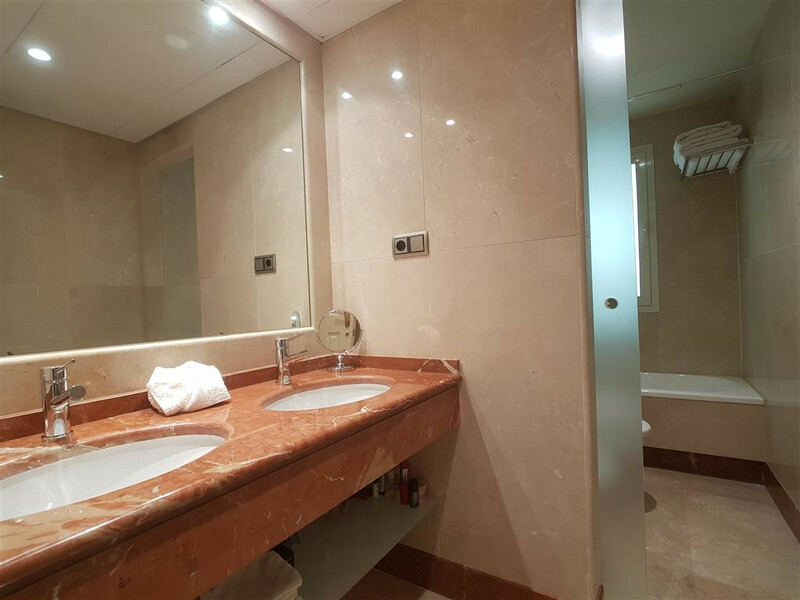 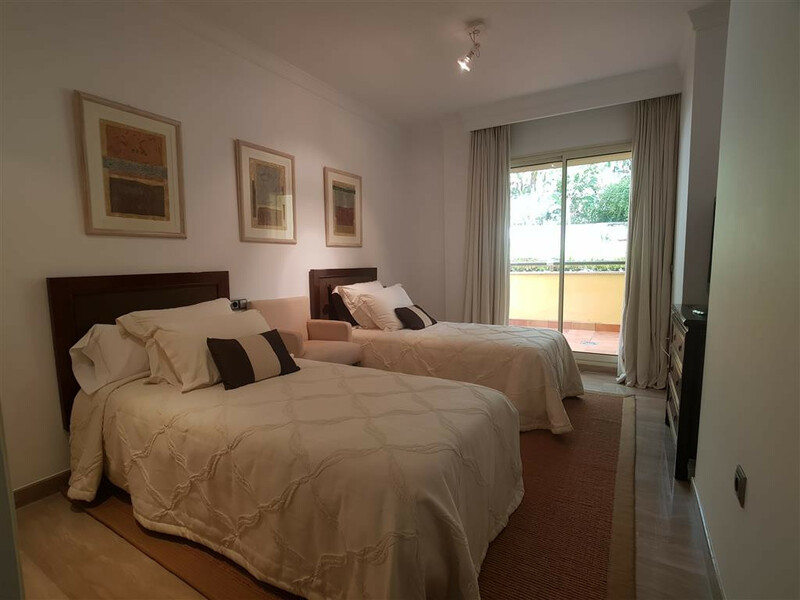 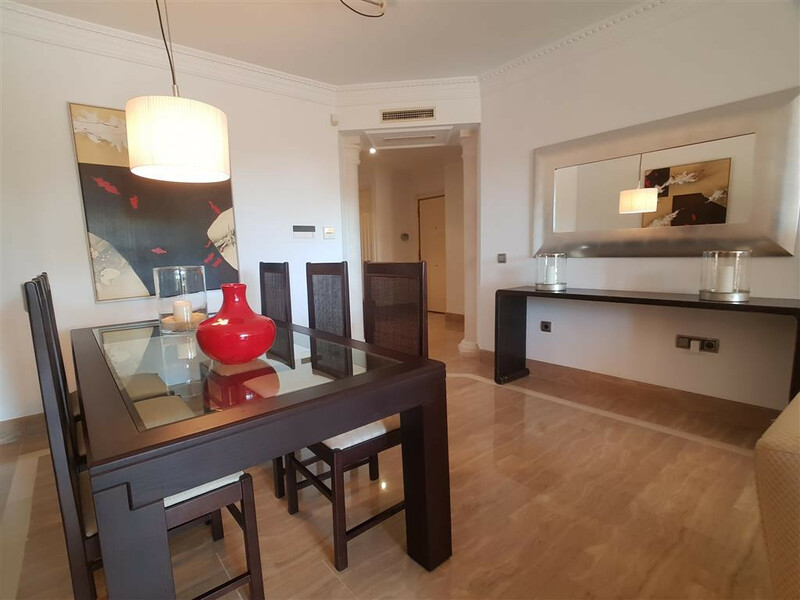 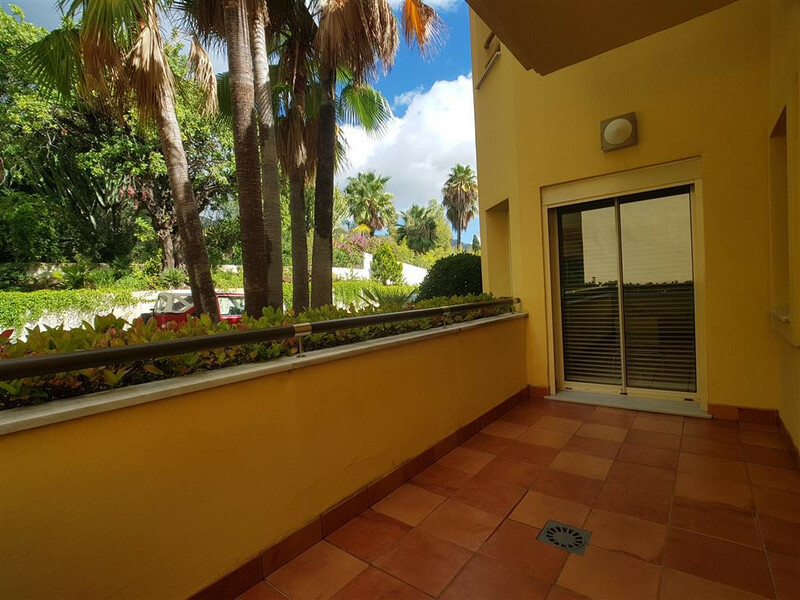 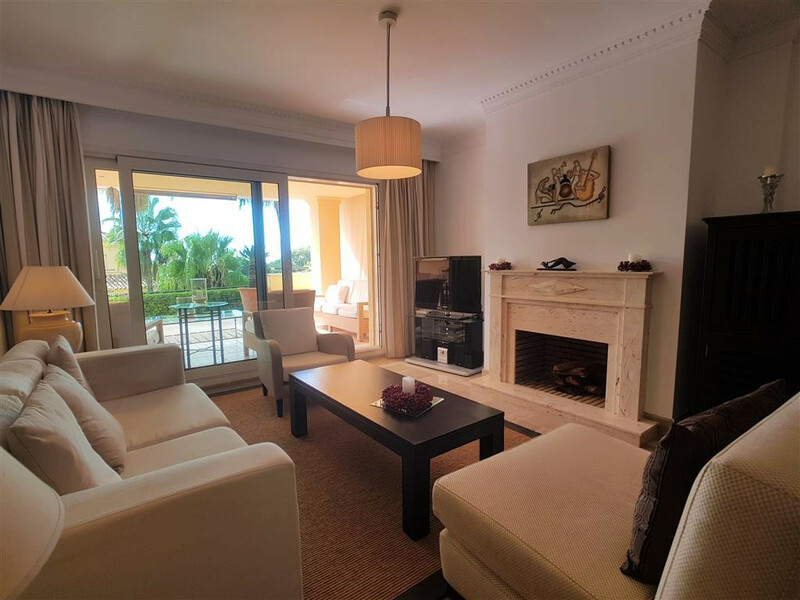 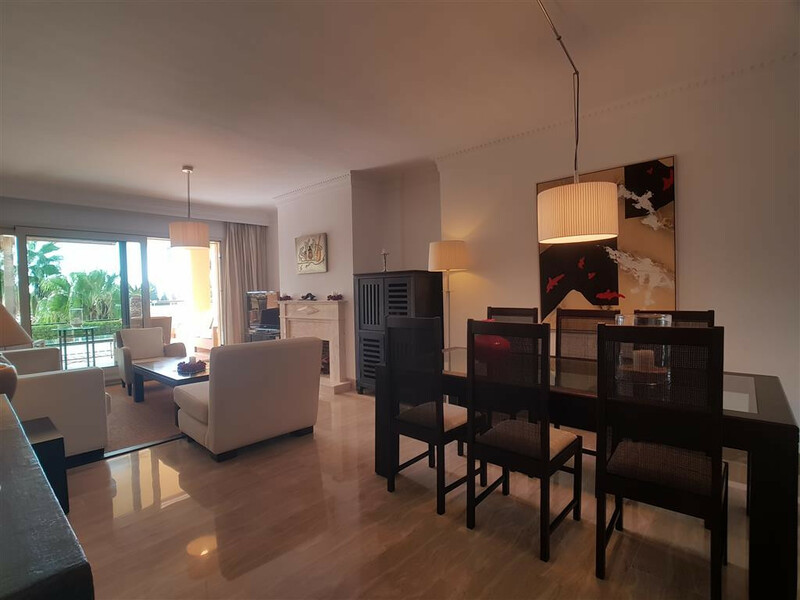 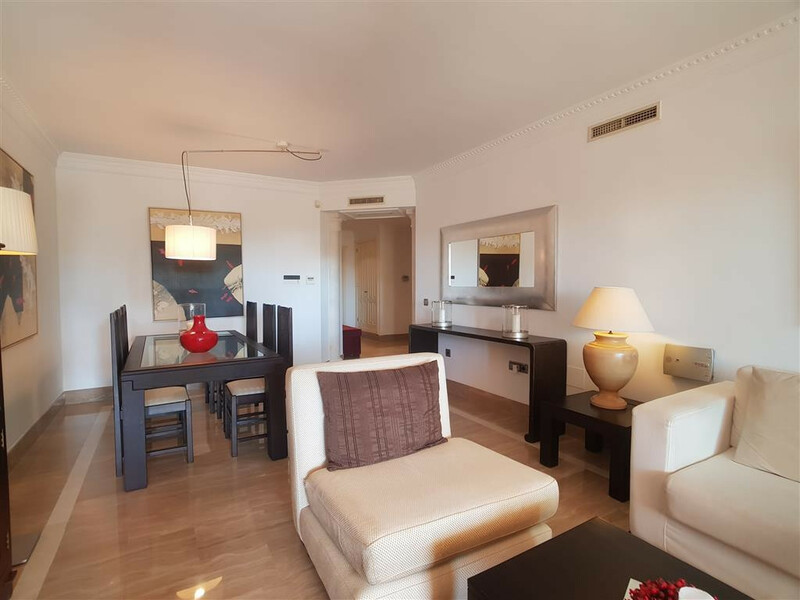 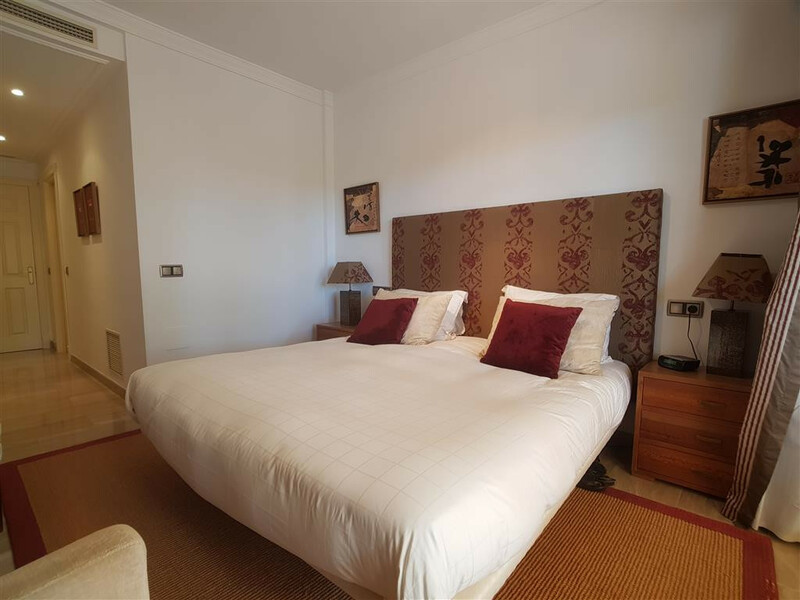 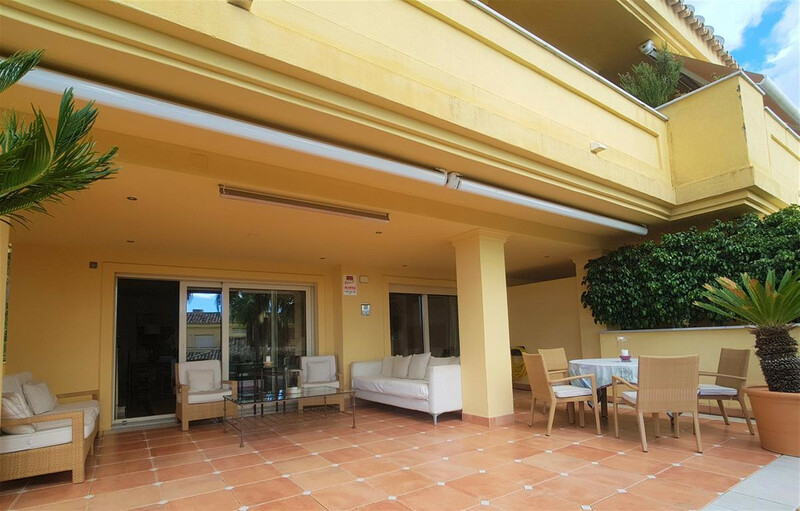 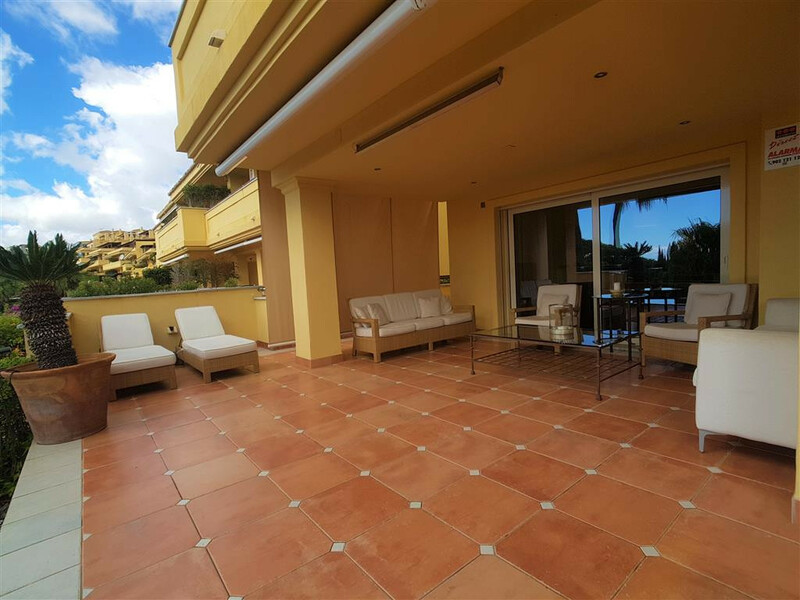 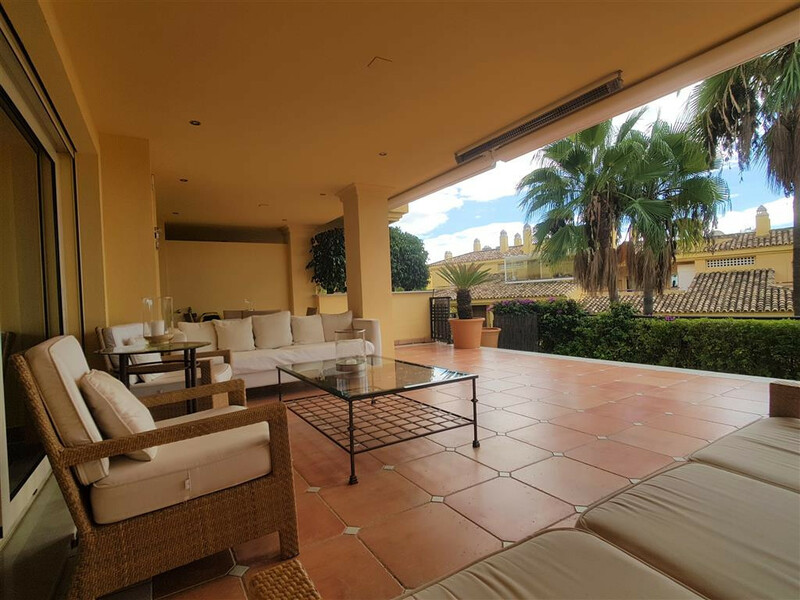 This fantastic 3 bedroom apartment is located in Condado de Sierra Blanca, a five star resort on the hillside of the iconic La Concha mountain in Marbella. 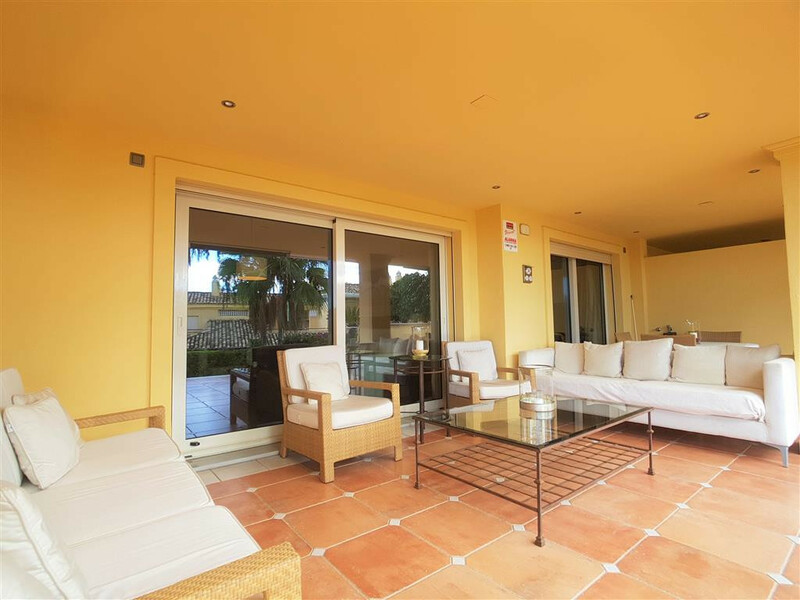 The community offers two magnificent pools, one with a rectangular shape for swimming and the other for relaxing. 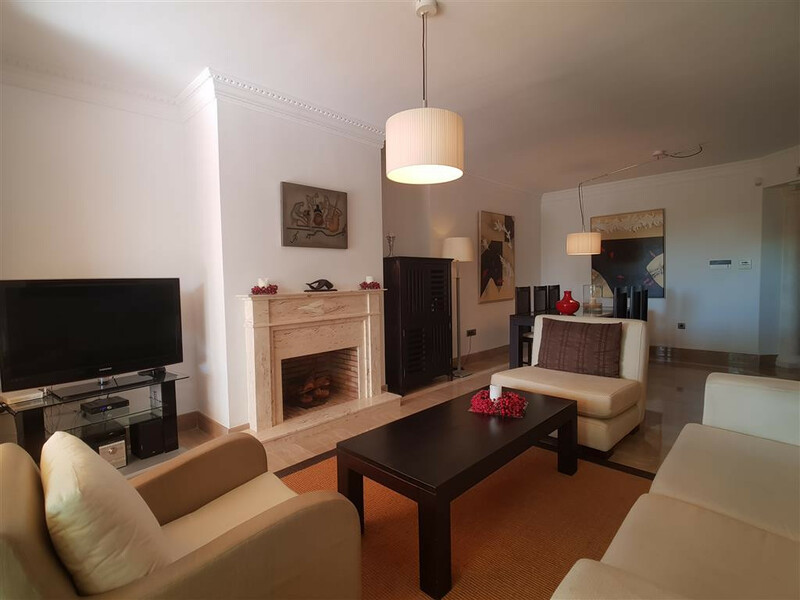 It is only 5 minutes driving from the center of Marbella with all kinds of amenities and services. 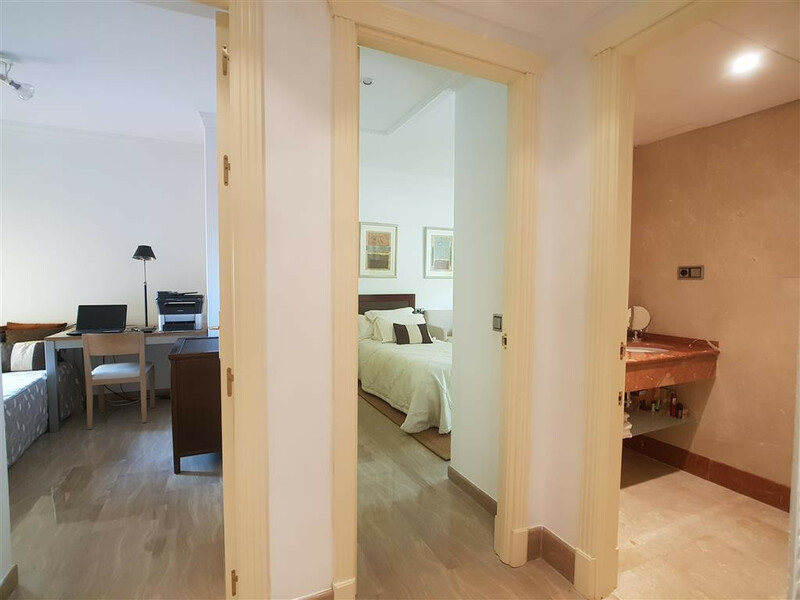 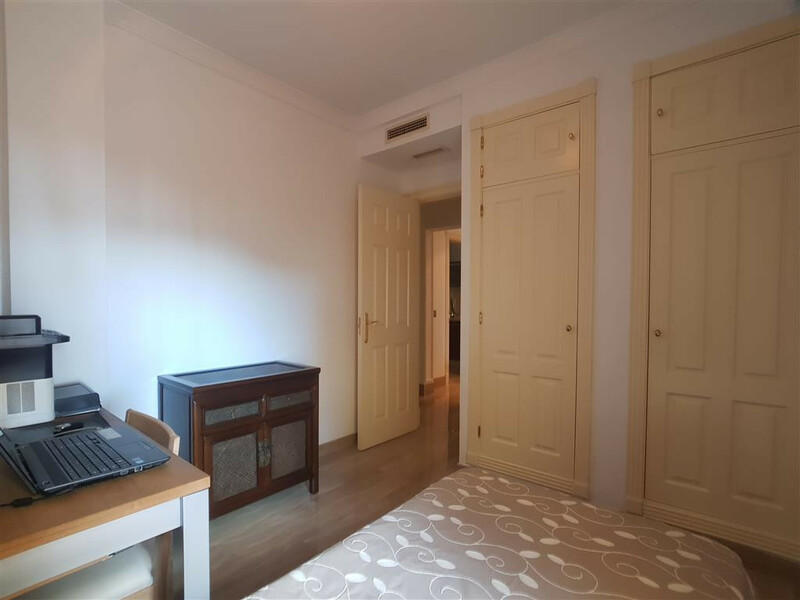 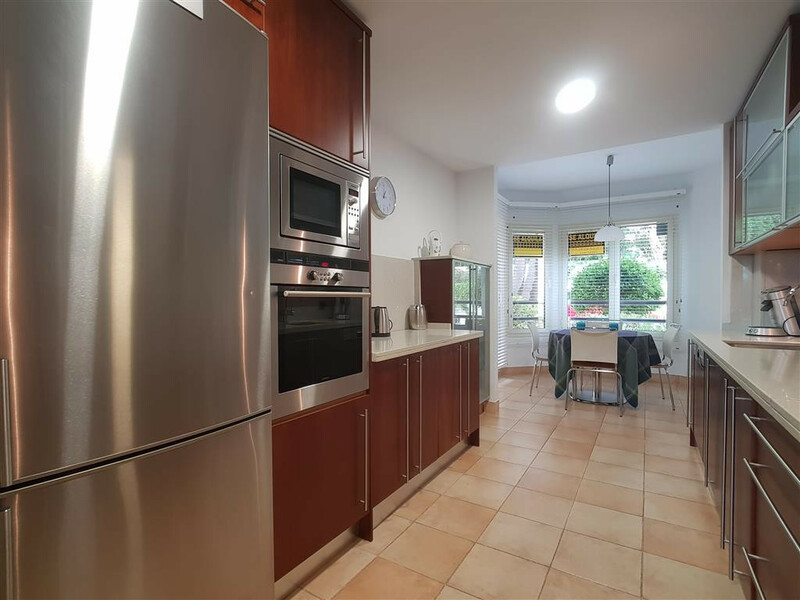 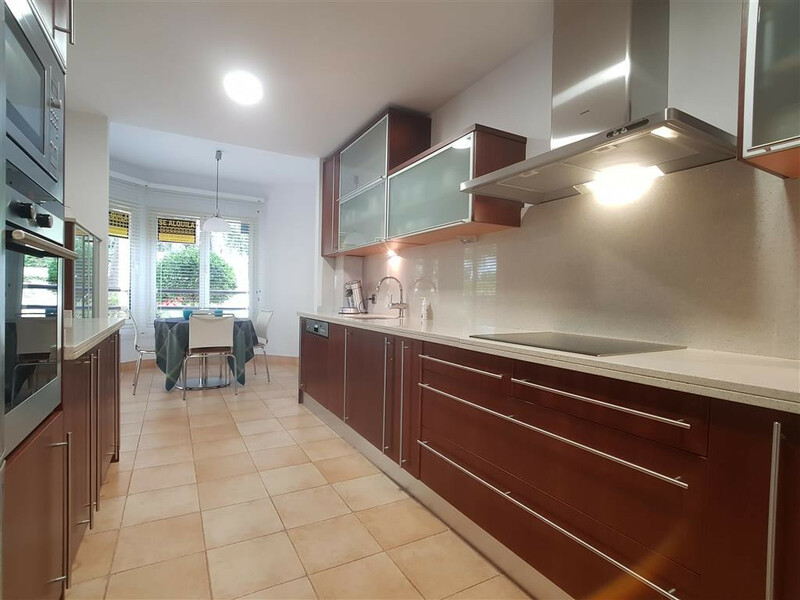 The apartment consists of an entrance hall with a guest toilet, large living / dining room with a fireplace, a fully equipped kitchen with exit to the utility room and a small dining area for those who like to eat in the kitchen. 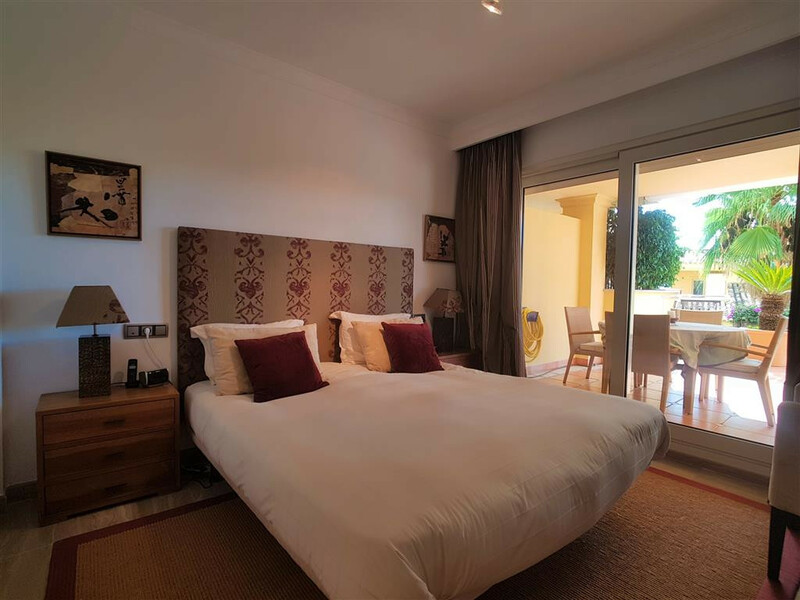 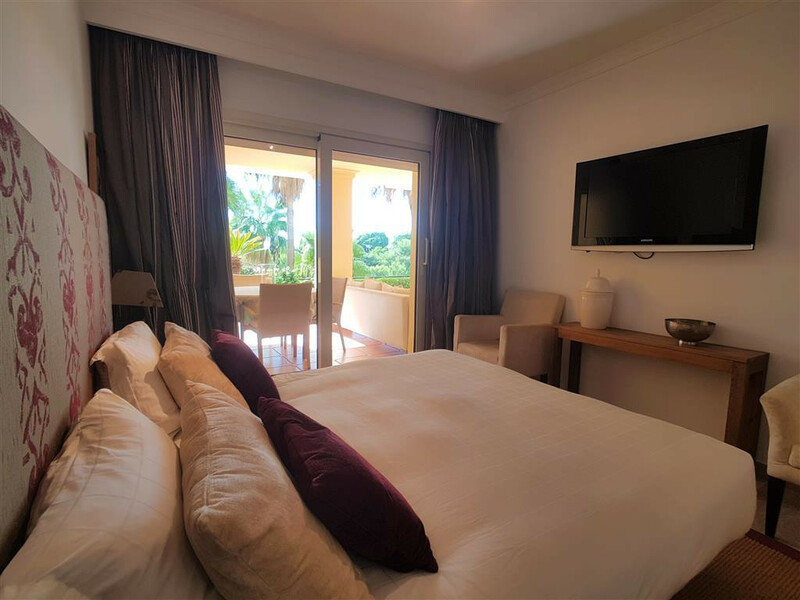 The master bedroom opens to the terrace shared with the living room and has an indoor bathroom with separate shower, two hand basins and a separate toilet. 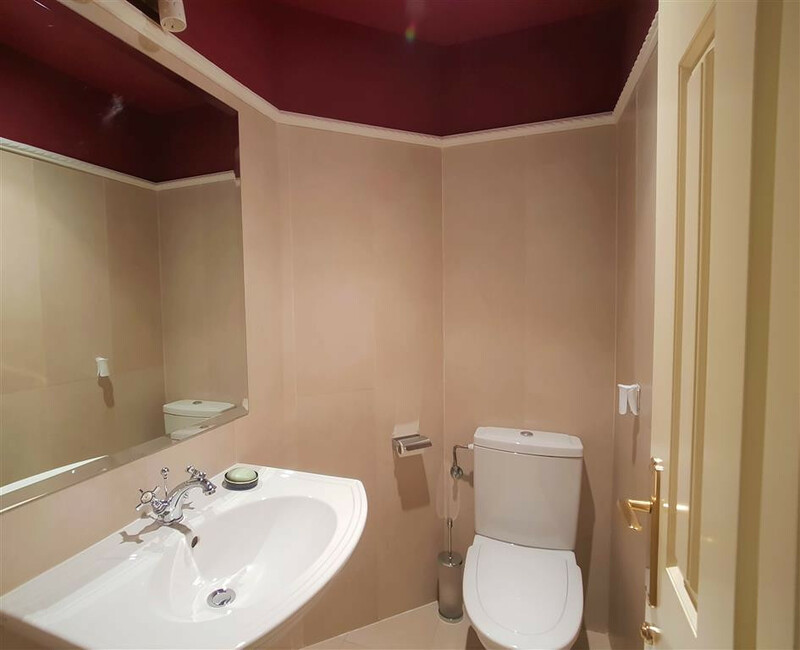 The second bedroom has its own full bathroom. 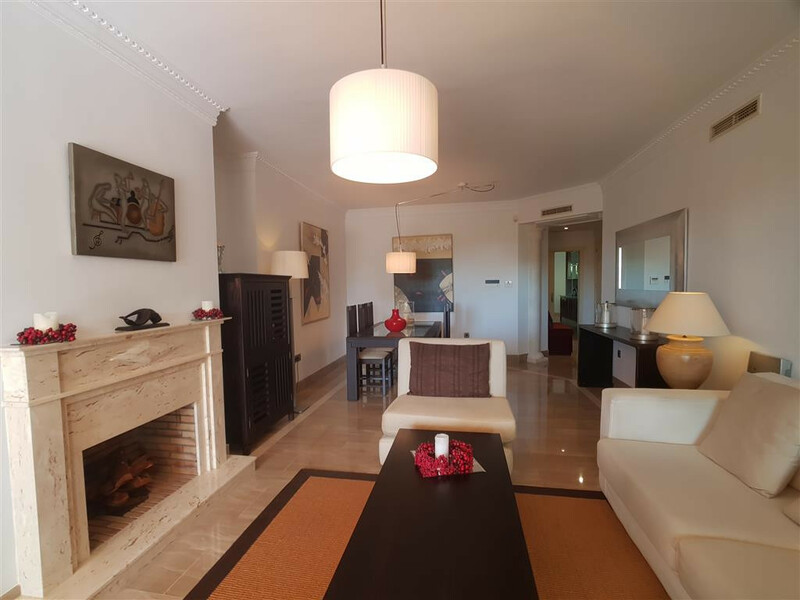 Marble floors throughout the floor, underfloor heating in the bathrooms, fireplace in the living room, hot and cold air conditioning, sound system installation, double glazed windows with electric shutters, Alarm and Lutron system in the lounge are some of the characteristics of this spacious property, allowing you to enjoy your stay in Costa del Sol. 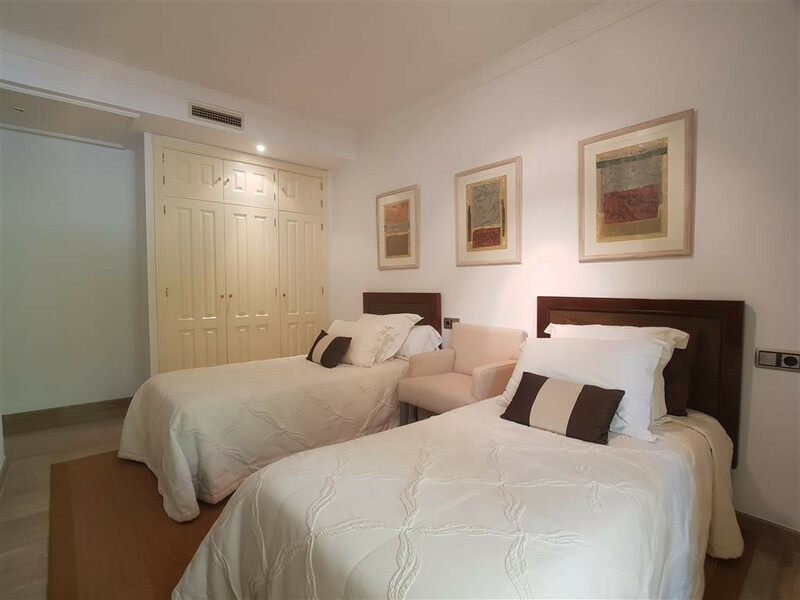 Underground parking, storage room and the price includes all furniture!